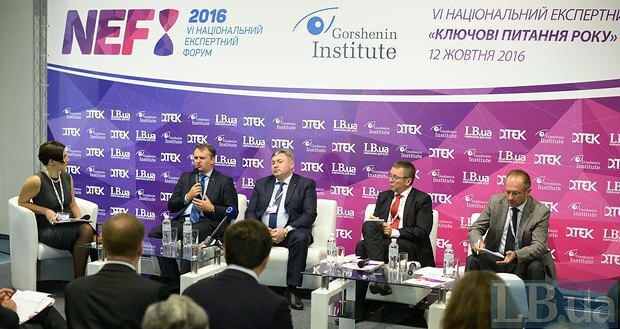 On 12 October 2016, Gorshenin Institute hosted the 4th National Expert Forum "Key Issues of the Year". 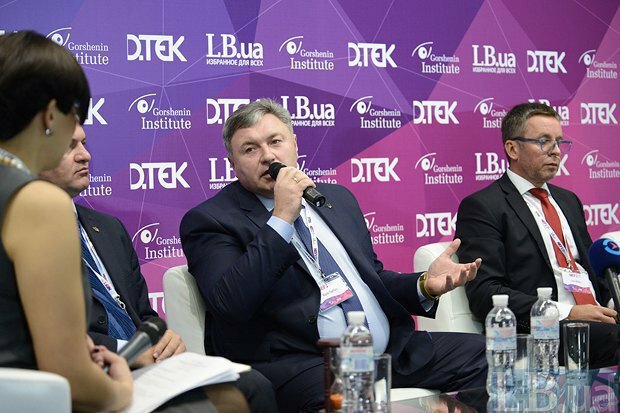 The speakers at the first panel, "Decentralization and integrity of the state", included a co-chairman of the group of strategic advisers to the Cabinet of Ministers, Ivan Miklos, the chairman of the Lviv regional state administration, Oleh Synyutka, the chairman of the Luhansk military and civil administration, Yuryi Harbuz, and Deputy Prime Minister of Ukraine for Administrative and Territorial Reform (2005) Roman Bezsmertnyy. Other participants in the discussion were MPs Viktoriya Ptashnyk and Ruslan Demchak, Kharkiv city councillor Taras Sytenko, the director of the Civil Society Research Centre, Vitaly Kulyk, former MP Taras Chornovil, the director of the Centre for Civil Society Studies, Mariya Repko, and the director of the Institute of Territorial Development, Yuriy Hanushchak. This panel raised the question of building an effective model of state administration in the conditions of decentralization and the role of local communities. - Reform is stalled for several reasons, mainly because the population is not prepared for changes and because of the populism of officials and politicians. - Further progress in reform requires the adoption of a package of laws, most of which have already been developed and are under consideration by parliament but have not been adopted yet. - The lack of experience among local officials often becomes an obstacle to the formation of a unified territorial community (UTO) and the implementation of reform. The best way to promote reforms locally is through an exchange of experience between the regions and effective interregional relations. Decentralization reform, the way the Ukrainian government sees it, is confidently moving forward. 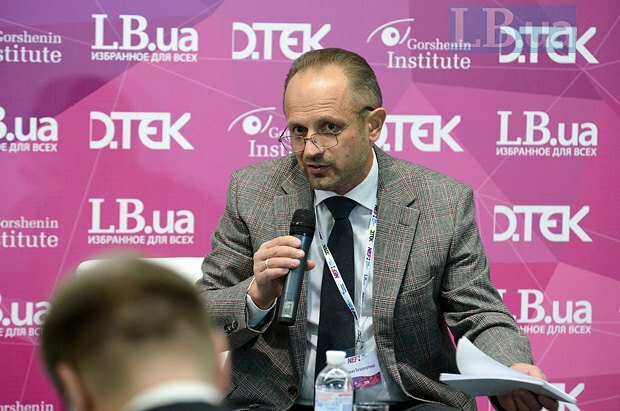 International experts, who have experience in implementing similar changes, are confident that Ukraine hasonly made the first "fiscal" step on this path, having redistributed tax revenues between the central and local authorities. Ahead is a whole series of changes, without which there can be no true decentralization and any previous achievements will be worthless. Decentralization is a reform that finally budged regional economic, social and cultural development by providing local governments with significant financial incentives and administrative powers. The success of decentralization reform will be leveled out until the country begins a series of reforms in other areas. The forum participants recalled the experience of Poland, which held one of the most successful decentralization reforms because it reformed other areas of public life in parallel. Unfortunately, Ukraine's decentralization reform has been limited to fiscal changes alone, while an extremely low pace of education and healthcare reforms do not allow the reform to move forward. There is an idea of what the next steps should be to have the reforms implemented, but there are no reliable mechanisms to make it happen. 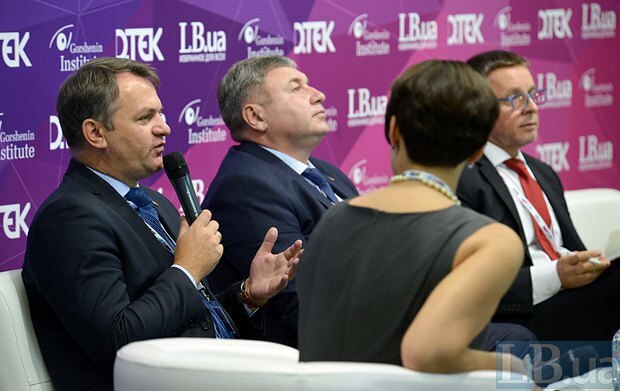 The panellists unanimously agreed that populism is the main enemy of reforms in Ukraine. The reform progress is hampered not so much by a lack of resources and expertise but by the government reluctance to take responsibility for making unpopular decisions which are still necessary for making qualitative changes. 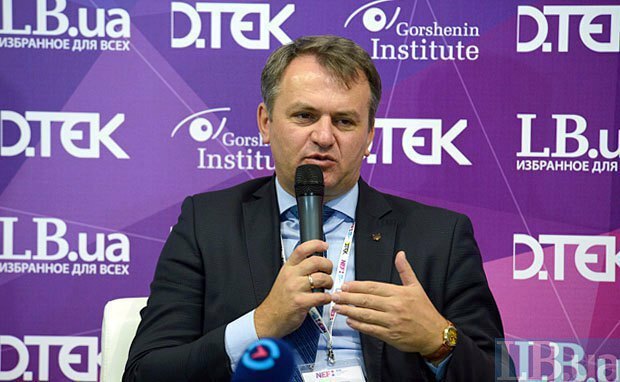 Ivan Miklos, who back at the time carried out a number of fundamental reforms in Slovakia, said that if the Ukrainian leaders were going to wait for a solution that would satisfy all, the reform will not happen at all. Miklos's opponents in Slovakia said that the changes suggested by his team cannot be implemented, because they are supported by only 15 per cent of citizens, but the team did not stop there, being not afraid of responsibility, and proved that rapid and effective changes are possible, provided that the government is ready to take responsibility for unpopular steps. The head of the Lviv regional state administration, Oleh Synyutka, agreed with the Slovak reformer, noting that a year ago the demand for reforms was minimal, officials were not willing to change and resisted their implementation. However, this did not stop the local authorities. 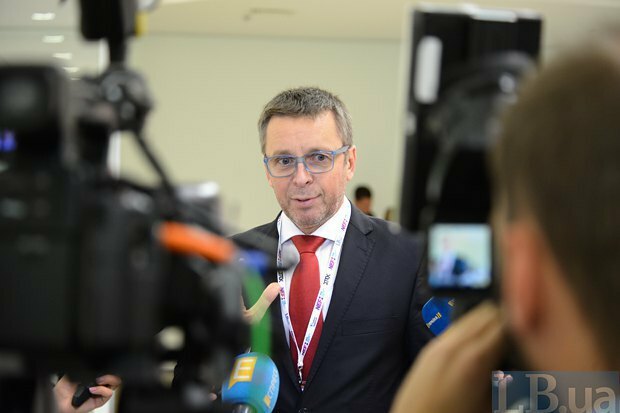 A year after the first results of the reform, the attitude of local authorities towards transformations has changed, the region felt a change, there was a public demand for further transformation, local officials' support became tangible. According to the speakers, the frequent reason for resistance among middle managers is the lack of experience, lack of understanding of the goal of decentralization. Yuriy Harbuz, the chairman of the Luhansk regional military and civil administration, shared an interesting experience. 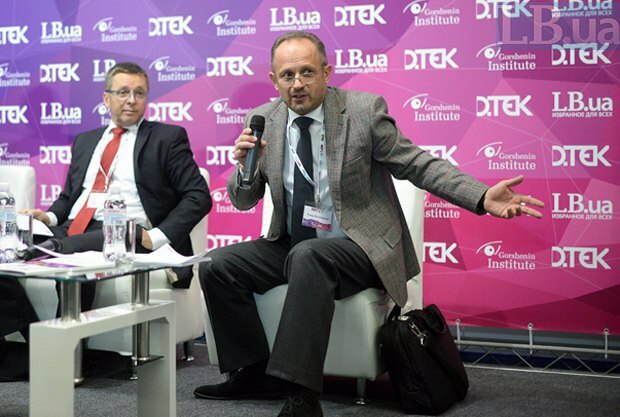 He launched a project called "Let's change the country together", in which the officials of Luhansk region - village heads, representatives of unified territorial communities (UTO), mayors - studied the experience of UTOs from Poltava, Vinnytsya, Khmelnytskyy, Ternopil, Lviv and Transcarpathian regions. They focused on new opportunities for communities, steps to attract investments and collabore with investors, budgetary processes, the development of strategic development plans and the like. Exchange of experience is an extremely important component of the success of decentralization reform as it allows to avoid the mistakes that have already been made by the pioneers of reform. However, as experts invited to the debate pointed out, one cannot avoid all the errors anyway, but the fear to make a mistake should not interfere with structural reforms. The experience of defeats and victories will build social awareness of the importance and complexity of the reform. Not all problems can be solved at the local level. Experts feel certain resistance to change at the level of central government too. In particular, we are talking about parliament dragging feet on a number of important bills, the reluctance of certain ministries (eg, education and health) to accelerate reforms in certain sectors. As a result of uncertainty around financing for vocational school, they were given into the care of local budgets without any compensators. The majority of such schools found themselves in a difficult situation when the local authorities were forced to seek funds for the maintenance of vocational schools at the cost of other expenditure items. As a result, the Finance Ministry and the special fund of the state budget had to be involved to resolve the difficult situation. Although such a situation would not have happened had the Education Ministry prepared a reform of vocational schools, optimized their network and passed necessary regulations on time. Next year, local budgets will no longer have vocational schools on their books because the experiment was a failure. However they will receive a whole number of other spending powers instead. After 2017, local budgets will have to take care of salaries for non-teaching staff in educational institutions (9.2bn dollars), utilities and energy bills in educational and health care facilities (15.3bn dollars), preferential transport fares (2.2bn dollars), maintenance of sanatoriums (0.3bn dollars), debts on the difference in rates for previous years (7.3bn dollars), utility penalties and fines (12bn dollars), maintenance of 30 public health institutions and more. Compensators provided by the Finance Ministry cover only one third of the mentioned costs, and they will come from the regions and areas which will distribute the money on the basis of " priority needs", that is, not everyone will get this money at all. The trend is obvious. Excess funds that local governments have received as a result of fiscal decentralization will be almost entirely spent on new powers which the central government shifts on local budgets. Indeed, as soon as in January-September this year, the general fund of local budgets has received 103.9bn hryvnyas, accounting for 99.4 per cent of annual revenues approved by local councils. 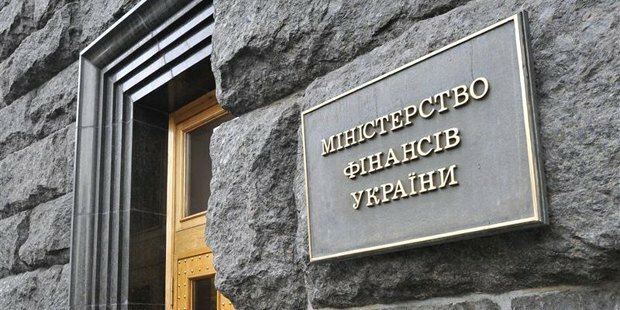 The growth of revenues to the general fund in January-September compared with the previous year (in comparable conditions and excluding areas outside the control of the Ukrainian authorities) amounted to 49 per cent or +34.2bn hryvnyas. However, fiscal reform was held so that regions could use excess funds on their own development, rather than finance costs which have traditionally been paid for from the state budget. After all, preferential public transport is a benefit with which the local authorities have nothing to do. The debt accumulated as a result of the difference in tariffs also arose through the fault of the central government and not the local one. And it is the same central government which continues to resist the reform. 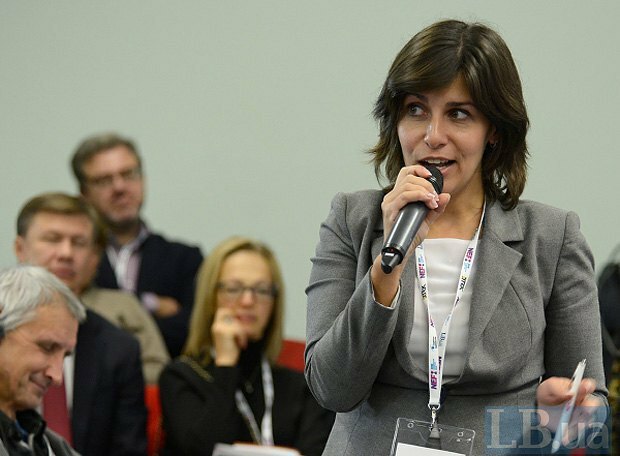 MP Viktoriya Ptashnyk noted that if we analyse the manifestos of all political forces which ran for parliament, we would see that almost every one of them contains slogans in favour of decentralization. If you ask experts to analyse the decentralization laws, which appear in parliament these days, and then analyse whether they were supported by those political forces that are supposedly in favour of decentralization, we will see some inconsistency. Indeed, parliament is blocking and delaying the consideration of a number of laws necessary for the further implementation of the reform. In particular, we are talking about bills No 4772,No 4390, No 4355, No 4386, No 4209, No 4676 and others. The adoption of these documents will strengthen the financial base of the communities, improve the mechanisms of establishment of unified territorial communities, the functioning of the institute of chiefs, and the like. Experts agreed that the reform had partially stalled because of the resistance from those who are interested in financial reform to not move. Ivan Miklos said that at the peak of reforms in Slovakia in 2003, the government adopted 207 reform bills, of which parliament adopted 206, whereas the Ukrainian parliament only supported 37 per cent of government decisions last year, which is an extremely low figure. At the same time, this particular reform is extremely topical for Ukraine. First, the public is disappointed with the quality of the centralized public administration system. Second, considering the volume of necessary reforms in the state, it would be logical for the central executive to relieve themselves from local functions, which can be tackled more effectively by local governments. The central government can pay more attention to the implementation of national tasks: defence, macroeconomic policy, finance, the judiciary, and management of infrastructure and communications of state importance. In turn, education, healthcare, housing and utilities, fire safety, landscaping, law enforcement are handed over to the local level. At the same time, it will both increase the efficiency of the implemented changes, and responsibility for their consequences. 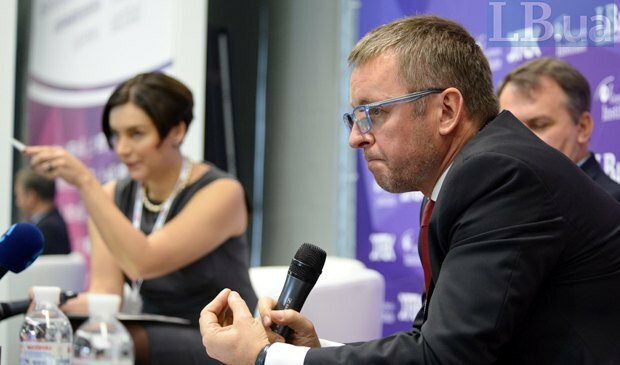 Participants in the discussion, including Roman Bezsmertnyy, which stood at the origins of decentralization reforms, are convinced that the deeper the corresponding changes in Ukraine will be, the more solid state it will be. Describing decentralization as a threat of federalization is an unjustified exaggeration. But this does not mean that threats are non-existent. Participants in the discussion noted that there are risks that the local power will be concentrated in the hands of "local princelings". For example, the local elections, which have already taken place, showed that in many cases the owners of agricultural enterprises tried either to "promote" their candidate to a local authority, or reach "agreement" with potential winners. Unfortunately, without central regulation, such cases will have numerous negative consequences. The panelists also discussed the development of a new law "On prefects", which is to create a reliable mechanism to oversee the compliance of the local authorities with the constitution and laws of Ukraine, but not to turn these prefects into officials with super powers. The discussion showed that there are very many questions yet to be answered. However, the fear of changes should not prevent them. Any, even the smallest step in promoting reform is better than going around in circles. Insufficient consolidation of efforts in both central and local government bodies is the main obstacle to reform. It is for a reason that Yuriy Harbuz invited all politicians and officials to "go on a political diet", to drop emotional slogans and demagoguery for the time of reform. Further implementation of decentralization policy should become an effective factor in the stabilization of the socio-economic situation, the way out of the financial crisis, the overcoming of contradictions between the various levels of government, the organization of relations between the centre, regions and territorial communities on the principles of the distribution of responsibilities and competencies, as well as partnership in providing Ukrainian nationals with state and local benefits. The reform should also facilitate a more efficient use of budgetary funds on all levels of management. The Implementation of fiscal decentralization should be based on administrative-territorial reform in Ukraine and a new ideology of public administration, which defines the essence of the work of state and local authorities as provision of efficient services to citizens.